We ship thousands of packages out of our warehouse in Portland every day all over the world. Our experience with shipping formalities, customs clearance requirements and most importantly, access to bulk discounts on shipping rates, makes us the logical partner for your international business. You simply consolidate all your international orders to ship to our facility in Oregon (which is a sales tax-free state), where we will break bulk and prepare the international shipments. We never compromise on quality. This means that even with our low rates, your international customers will receive your items through either DHL or FedEx (with the exception of shipments to China). If you find a shipping integrator that offers lower rates, we offer a 100% money back guarantee for the difference. 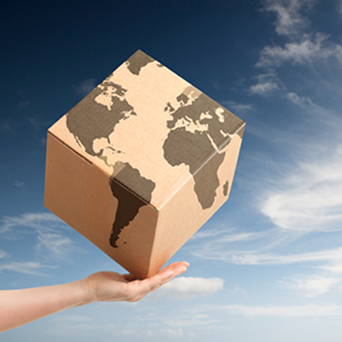 What makes Global Checkout unique is our ability to let buyers combine their shipping with other purchases. The average number of purchases international shoppers combine is 2.17. This further drives the effective shipping rate down to unprecedented levels for international shipments. Thank you for your Enquiries! Would you like to find out more? Have one of our partners’ specialists send you further details and take you through our simple implementation program.